Andrew Robinson, who had been a friend of Ray’s, spent a number of years working on this, and his account of Ray’s family and childhood draws upon interviews and conversations, supplemented with material from Ray’s own CHILDHOOD DAYS, MY YEARS WITH APU, and other sources. 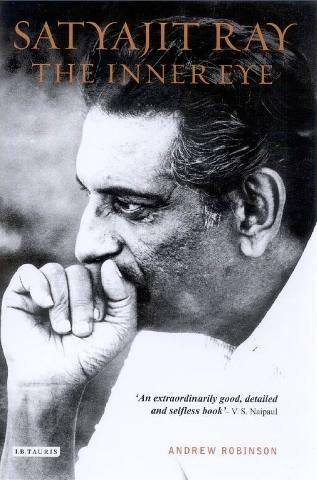 Robinson paints a portrait of a Calcutta overflowing with creative potential – Ray’s family connections to Tagore are also detailed, as are the accomplishments of his father and grandfather, and the intellectual independence of his mother, who seemed to strongly influence at least a few of his cinematic characters. Later on, Robinson engages in a film-by-film analysis of Ray’s career, which includes shorts and documentaries. Accessible but well-researched and well-written critiques are followed with some personal impressions, and quotes from varied film critics and other filmmakers: fans of Jean Renoir and Akira Kurosawa will note their presence and influence. Robinson locates each film with certain contexts: Indian cinema, the 1950s/60s international arthouse boom, the artistic milieu of Calcutta, and Ray’s international influences and fascinations; the end result is something that will make one want to see (and read) as much of Ray’s work as one can get one’s hands on.